Drop-down box in which a color may be selected to represent the product on the drawing and in printed reports. Colors must be unique for each product and cannot be shared by any other product. Note: If the swatch is left black and the product does not have at least one color line under it with a non-black swatch, it will not be available to assign directly to a room through the Product Selector. Button used to import an image file that will represent the product on the drawing and in printed reports. Compatible formats include .BMP, .GIF, .JPG, .JPEG, .PNG, .TIF, and .TIFF. Product images will not be rendered on the drawing or in printed reports unless the "Show Product Images" option has been enabled in the Display section of the Measure Options window. Drop-down box in which a black and white pattern may be selected to represent the product on the drawing and in printed reports. Multiple products may share the same pattern. Black and white patterns will not be rendered in the on-screen drawing unless the "Cross hatching" option is set to "B&W" under the Display section of the Measure Options window. Likewise, black and white patterns will not be used in printed reports unless the "B&W" crosshatch option is enabled in that report's print options. Non-interactive icon used to indicate how a product was added to Measure. A icon means the product was created manually in Measure. A icon means the product was imported from a user's RFMS Cloud database or RFMS Store. Text field in which the product's name is entered. If a product is imported from the RFMS Cloud or a user's RFMS Store this field will be filled automatically. The Style Name is used as a label for the product within the software and on printed plans and reports. Text field in which a style number may be entered. If a product is imported from the RFMS Cloud or a user's RFMS Store and it has a style number attached to it, this field will be filled automatically. Style Numbers are not displayed in standard plans and reports, though they can be included when printing custom forms. Button that opens a list of vendors saved within the current project. This feature may be used to flag a product as being sourced from a particular vendor. Vendor data is not displayed in standard plans and reports, though it can be included when printing custom forms. Note: As with all Product List settings, the Vendor list is only saved within the current project unless the Save as Default feature is invoked. Text field in which the plank's width is entered. Text field in which the plank's length is entered. Text field in which the minimum allowed length for plank reuse is entered. Note: Plank products are rendered on the drawing based solely on their Width and Length measurements. For the purposes of providing a general idea of how the product will look, the Minimum Length measurement is not factored in. Minimum Length is, however, taken into account when calculating quantities. Text field in which extra waste may be added to a product. The number entered in this field will add waste on top of whatever natural waste factor Measure calculates. Drop-down box where the calculation method for extra waste may be specified. The default setting is "%". %: Additional waste will be generated by adding the number entered in the User Waste field as a percentage of the product's Unboxed Quantity (Unboxed Quantity = net area + natural waste factor). units: Additional waste will be generated by adding a fixed amount based on the product's unit of sale and the number specified in the User Waste field. Drop-down box in which the product's unit of sale is specified. In order for tiles to be calculated accurately, they should utilize a square unit of measure. Text field in which the number of units contained in a full box may be specified. The product's Gross Quantity will be rounded up whenever necessary so that a sufficient number of boxes are included. Example: A product's Unboxed Quantity is calculated on the Worksheet at 381 square feet. Its boxed quantity in the Product List was set to 20. It would require 20 boxes (400 square feet) to cover the area, so the Gross Quantity is rounded up to that amount. Text field in which a cost or price per unit may be entered. Note: Projects with a Business Type set to "Commercial" will have a Cost column whereas those set to "Retail" will show Price instead. Drop-down box in which an imported product's price level may be selected. 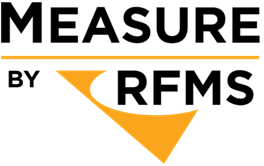 Products sourced from an RFMS store will be imported into Measure along with all available price levels. These levels can then be adjusted as needed by clicking the drop-down box and selecting one from the list. When a new price level is selected, the software connects to the RFMS store again to import the current price. If a product created in the RFMS Cloud is to be imported with a price level, the level must be selected during the import process. Only the selected level will be imported with the product. Note: If an organization has RFMS Mobile and a user within that organization enters a custom price for a product, the Level field will automatically adjust to reflect that. Projects with a Business Type set to Commercial will display "Special PO Cost". Projects set to Retail will display "Write-in". Text field in which freight cost per unit may be entered. Freight is calculated by adding the amount entered in the Freight field to the product's Unit Cost. Note: Although freight charges can be added to products in both Commercial and Retail projects, only those with a Business Type set to Commercial will see freight reflected in the subtotal. Check-box that controls whether the Tax Rate (entered as a Project Setting) is applied to a product. Check-box used to flag a product as "hidden". Hidden products will be visible in the on-screen drawing, as well as on Room, Seam, and Cut plans. They will not, however, be shown on the Worksheet or in custom Forms. As such, any product flagged as "hidden" will not factor into the project's grand total. Button that opens the Product Add-on window. Product Add-ons allow a primary flooring product (carpet, tile, vinyl, etc.) to be linked with auxiliary products and services (carpet pad, labor, etc.). When the primary product is used, any auxiliary products linked to it are added to the job and calculated automatically based on usage rules set by the user. Text field in which an RFMS product code may be entered. This field will be populated automatically for products imported from RFMS. To successfully export a Measure project to RFMS, Bidpro, etc., a valid product code must be present for each product. 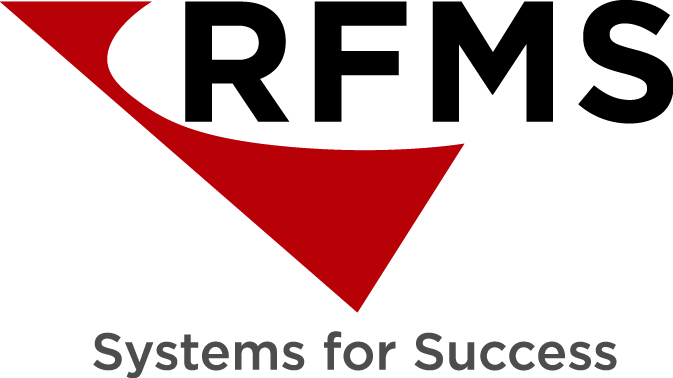 Organizations that do not utilize the RFMS core business software or do not export projects from Measure to RFMS can ignore this field.